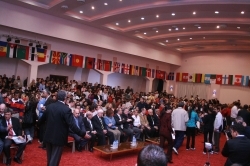 After the eleventh and the final round of the 2007 World Youth Championship was played, the event was concluded after the closing ceremony yesterday evening. You can find the pictures, and notes from the final round together with the details and protocol speeches at the link below. Have a nice trip back home! Hope to meet you again in 2009! 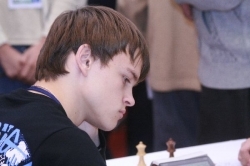 In Under 18 , Popov won the grandmaster derby against Howell to win the gold medal with a commanding 2682 performance with 9 points. 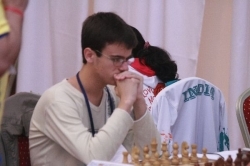 IM Edouard drew his game against FM Nakhapetiane and collected 8.5 points in the end as did GM Alexander Rakhmanov who won against IM Leon Hoyos from Mexico.IM Edouard had the better tie-break so he won the silver medal while Rahkmanov had to be content with the bronze medal. 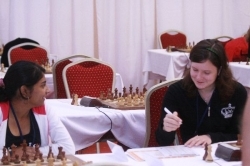 In Under 18 Girls, WFM Gunina won against the Indian WIM Gomes to take the gold medal with 9 points. 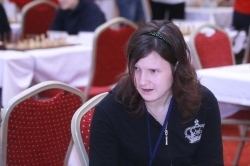 On the second board, the game between WFM Hamrakulova and WIM Nemcova ended peacefully as a draw enabling Nemcova to win the silver. 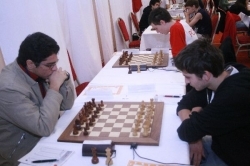 On the third board, WIM Betül Cemre Y?ld?z, drew against Rakic, a former opponent of WFM Öztürk in the Under 16 struggle for European Championship in 2006. WIM Y?ld?z shared the third place with WFM Hamrakulova and Andrenko and had the best tiebreak with a 2346 performance. 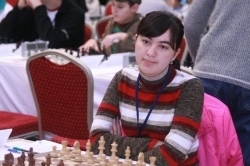 In Under 16 Girls, WFM Öztürk won against WFM Olga Girya who led the event with 8.5 to catch her but the draw between WFM Nakhbayeva, Tsatsalashvili and Ivanenko's win against WFM Repina created a third way tie and Tsatsalashvili won the gold, Olga Girya from Russia won the silver, Olga Ivanenko from Ukraine won the bronze medal while the European champion and the local hero WFM Kübra Öztürk has to be content with the fourth place and the bronze medal since first six places receive medal in WYCC. 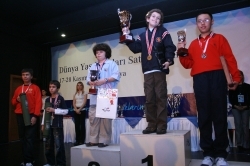 In Under 16, FM Chirila won against FM Pereira and got 8.5 points and shared the first place with three other players but won the gold medal on the tiebreak. 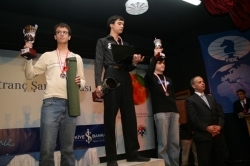 FM Pereria who drew in the last round against the Rumanian FM won the silver medal while the Russian players IM Kharchenko and Alexey Goganov took the third and fourth places consecutively. 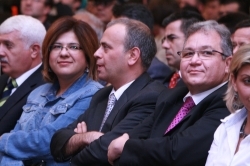 Öztürk completed her WIM titles and she is going to become WIM. 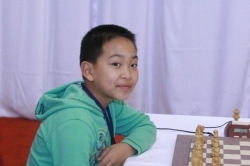 In Under 14 Group, IM Sjugirov won against Wang to have 9 points and win the gold medal with the better tiebreak against Kanarek who won against FM Ter-Sahakyan in the final round. 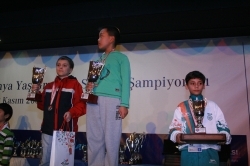 Third place was shared by three players Wang, Belous and FM Swiercz while the bronze medal went to Wang. 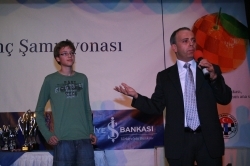 In Under 14 Girls group, WFM Paikidze won the last round game against WFM Danelia, her compatriot and won the gold medal. 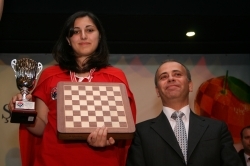 The second place was shared by WFM Arabidze again from Georgia who won against WFM Cori of Peru and Gagare from India won her hame against Adamowicz to win the bronze medal. 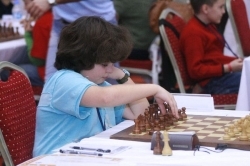 In Under 12 Group, FM Nyzhnyk won the final game against Beradze but it was only sufficient to share the first place but take the silver medal since, Naroditsky also won against FM Bukavshin and he was the one who won the gold medal with the better tie-break. 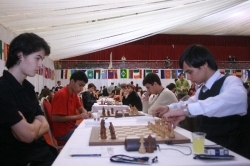 Three players, Han from China, Monev from Bulgaria and Cori from Peru shared the third place but Han was the winner on tie-break. 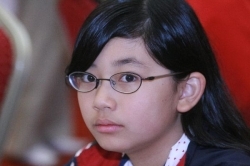 In Under 10 Group, Wang from China drew against CM Oparin and got the gold medal with 10 points. 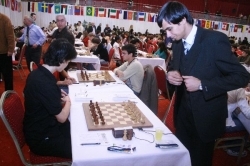 On the second board, Prince made a draw with Antipov who had 8.5 points and the latter won a silver medal. 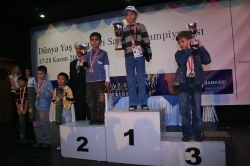 Prince, last year's Under 8 World Champion got the bronze medal with 8.5 points. In Under 10 Girls, Styazhkina won against Lachowicz to get the gold medal. 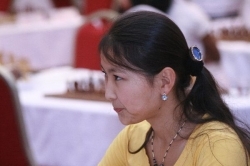 Lei fom China won a critical game against Chiang and this result made her the runner-up in the event with 8.5 points together with Guo another Chinese player. 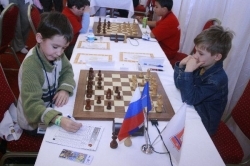 In Under 8 Group, Savenkov made a draw with Sinyanskiy and reached the gold medal. 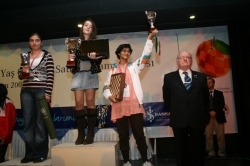 Sinyanskiy and Qasimov shared the second place since Qasimov won his game. 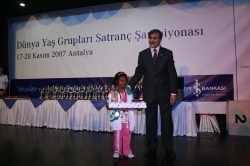 In Under 8 Girls, Furtado won the event after the final round game against Abdulmalik. 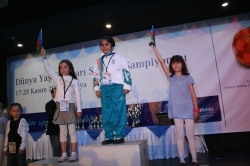 On the second and third boards two Azerbaijani Mammadzada and Hojatova won their games and achieved silver and bronze medals respectively. 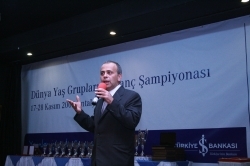 There was also a study competition which was held in the free day back in November 23. 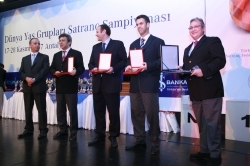 You can view the results of the competition from here. There were 8 problems with 2 mate in 1, 2 mate in 3, 1 mate in 4 and 2 studies. Two hours were given for solving all of them. 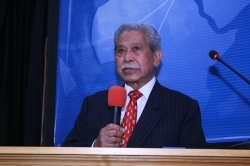 In the competition there were 97 participants from 17 different countries. Each exercise was 5 points and there were Under 10,14,18 categories for both boys and girls. Last but not least there were also common categories for both men and women. 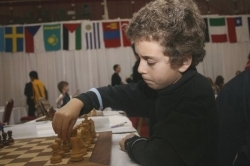 There were two GM norms in the tournament by Avetik Grigorian and Edouard Romain both in Under 18 Group with 2603 and 2604 performance respectively.